Elements sold by the metre can create variety of arrangements. 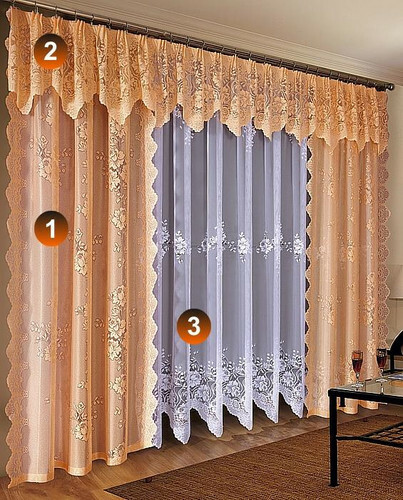 Salmon pink curtains with flower pattern. Available width: 150 cm. 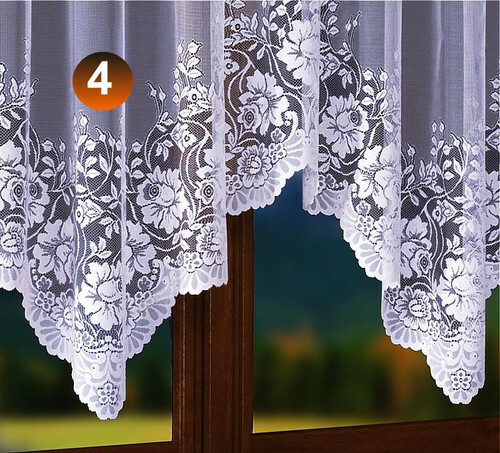 Semitransparent curtains serve only as a decoration, they do not block the light out. 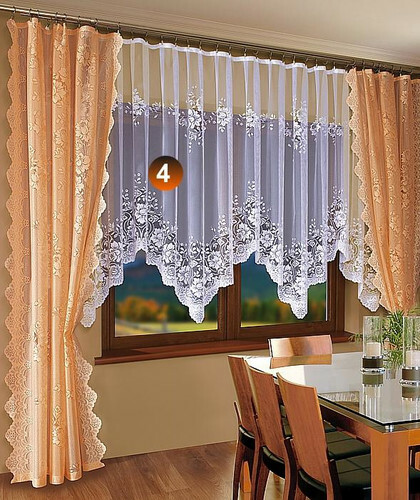 Made of fabric like curtain, patterned, ended with decorative shark's tooth. Available in height of 45 cm. 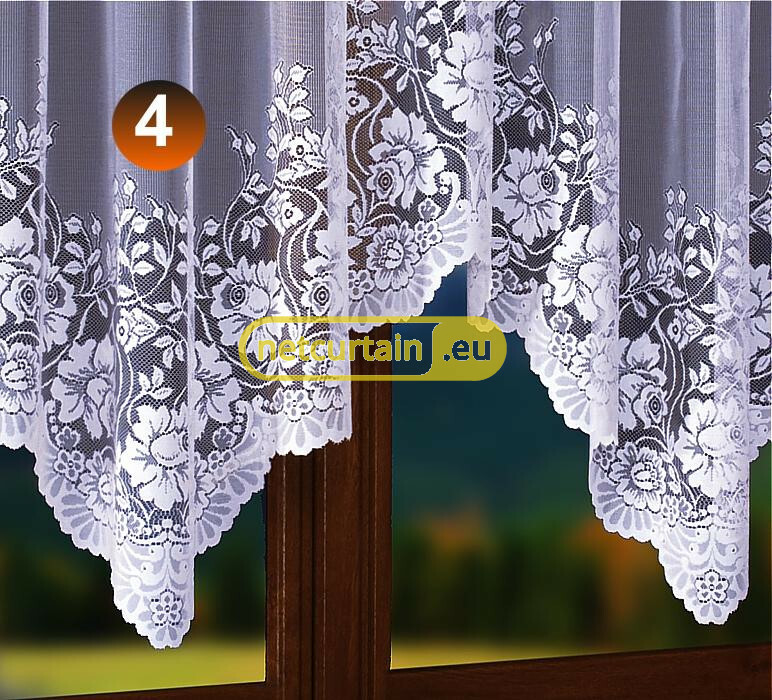 Classic, white net curtain with flower pattern, ended with decorative shark's tooth.. 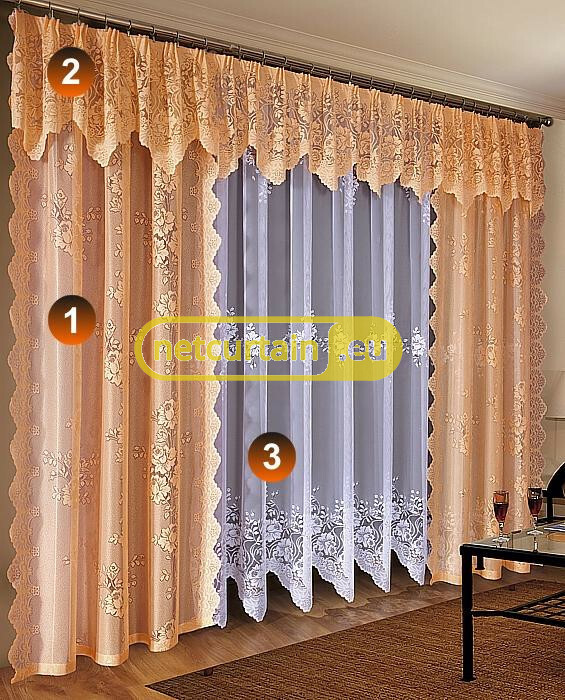 Available in two heights : 160 or 250 cm. Net curtain in height of 250 cm has 16 cm shark's tooth at the bottom. There is possibility of shortening at a supplement- click "ask about product". Pattern repeatability equals 130 cm.